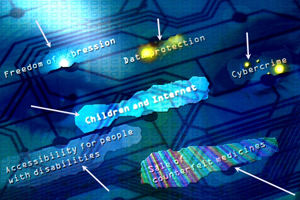 The work of the United Nations Educational, Scientific and Cultural Organization on internet governance is based on UNESCO’s basic approach of creating the conditions for dialogue among civilizations, cultures and peoples, a dialogue that aims to achieve sustainable development encompassing human rights, mutual respect and the alleviation of poverty. UNESCO runs two programmes related to internet governance, namely the International Programme for the Development of Communication (IPDC) and the Information for All Programme (IFAP). 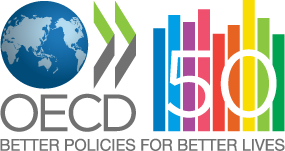 The work of the Organisation for Economic Co-operation and Development on internet governance is rooted in the mission of OECD to promote policies that will improve the economic and social well-being of people around the world. The organisation has developed key indicators on information and communication technologies, which are updated annually, to provide a knowledge-base for digital governance policies. The fifteen indicators mostly cover availability, accessibility, affordability and usage of landline, mobile, broadband and internet connections. The Information Technology Outlook is a complementary regularly OECD updated publication. The OECD’s work on internet governance spans across several themes, including information economy, information security and privacy, broadband and telecom and e-government. The work of the European Union on internet governance is strongly related by the overarching themes and policy initiatives around economic integration, the single market and the four freedoms of the Union — the free movement of goods, capital, services, and people. The work of the Council of Europe on internet governance centres on human rights issues, most notably freedom of expression, data protection, accessibility and cybercrime. With the Convention on Cybercrime, the Council of Europe created the first (and so far only) binding international treaty on the subject. The convention outlines guidelines for governments wishing to develop legislation against cybercrime. It entered into force in July 2004, has been signed by 43 states and ratified by 20 countries. Other relevant treaties are the Convention on the Protection of Children against Sexual Exploitation and Sexual Abuse, which entered into force in July 2010, has been signed by 42 states and ratified by 12 countries, the Convention on Cybercrime, which entered into force in July 2004, has been signed by 47 states and ratified by 31 countries, and the Convention for the Protection of Individuals with regard to Automatic Processing, which entered into force in October 1985, has been signed by 46 states and ratified by 43 countries. The judgements of the European Court of Human Rights related to new technologies constitute another main pillar of the Council of Europe’s work on digital governance. The Court maintains a fact sheet (pdf) on all rulings on Articles 8 (Right to respect for private and family life) and 10 (Freedom of expression) of the Convention for the Protection of Human Rights and Fundamental Freedoms. I am currently in Belgrade to facilitate the «New Media Summer School» together with Ivana Davidovska. The New Media Summer School is organised by the European Students’ Forum – AEGEE, the Young European Federalists – JEF, Youth for Exchange and Understanding – YEU and the European Youth Press – EYP. What should tomorrow’s internet look, feel and be like? Who will decide which content you’ll be able to find online? How can the web strengthen democracy and human rights? We will be covering the event extensively here on nonformality.org and on newmediasummerschool.eu, on Twitter with the hashtags #nmss11 and #eurodig. So Europe’s future lies in the hands of young people? 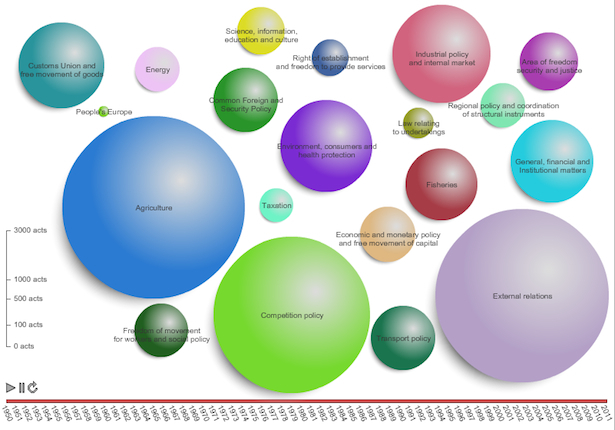 Young people don’t even feature in this onanistic animation of EU legislation over time. Go watch it, it’s cool to see the bubbles grow – and an entry in the open data challenge to boot.